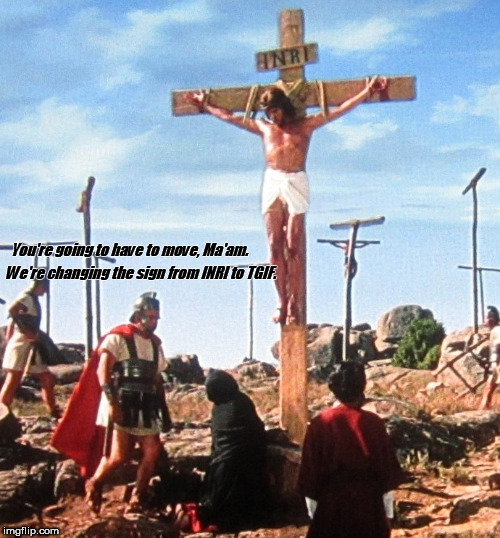 Jesus on the cross with roman changing the sign from INRI to TGIF. You're going to have to move, Ma'am. We're changing the sign from INRI to TGIF.